The MGB Roadster is the quintessential British sports car that never attempted to be the quickest thing on four wheels, rather it focussed on being enjoyable to drive, to tinker with, and to own. The humble MG is a good example of what made the British car industry a dominant force in the world of sports car manufacturing in the ‘50s and ‘60s. The body is a monocoque structure engineered to ensure it’s stiff and dependable. The engine is an old fashioned iron push-rod overhead valve unit with equally old fashioned tappets which are not silent in operation but are easy enough to adjust with feeler gauge and spanners. The transmission is simple and solid, and the steering is traditional rack and pinion. The MGB was made to be owner repairable and the result of that intentional design is that lots of them have survived and they are the most common car for most MG club’s members. Work on creating what would become the MGB Roadster had already begun by 1956 with initial designs based on the existing MGA chassis. 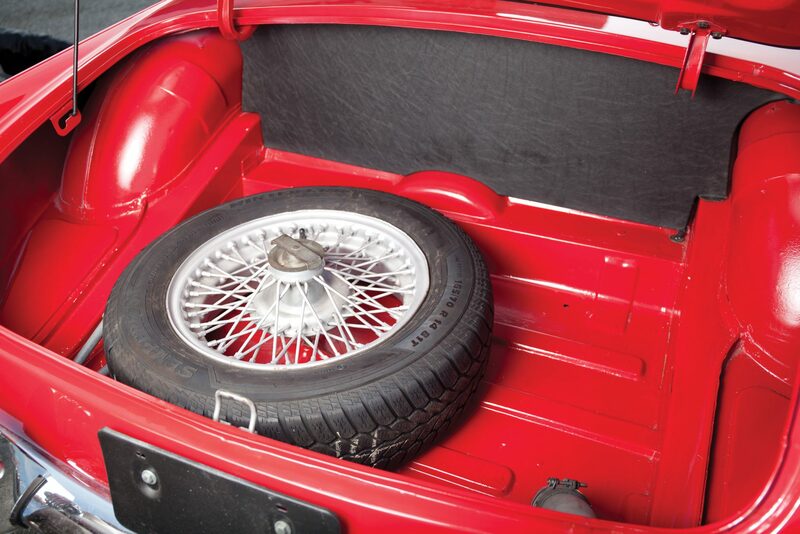 Early development work in the late fifties determined that in order to get significant improvements to the luggage and passenger space that the old MGA chassis would need to be abandoned and work was begun on creating the new car with a monocoque body. 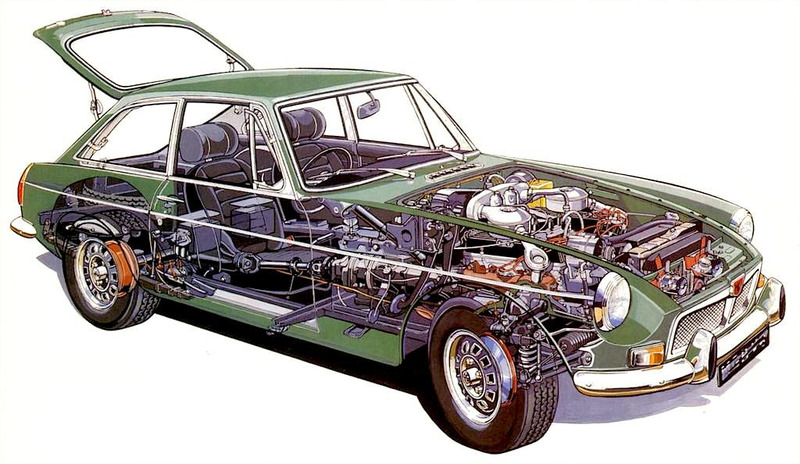 As this was to be the first MG with such a construction the framework of the car tended towards over engineering which was to stand the MGB in good stead as the cars aged to become much loved classics. The monocoque body was based around combined inner and outer sill sections with a deep centre tunnel. The front suspension was essentially taken from the MGA with unequal wishbones but with the front suspension assembly with brakes mounted on a cross member that could be removed. The original design was for a new rear suspension design using coil springs with trailing arms and a Panhard rod. However once the early prototype car got to road testing stage it was found that there was a steering effect from the transverse Panhard rod which was unacceptable, so the design was changed to conventional semi-elliptic leaf springs suspension for the live axle. 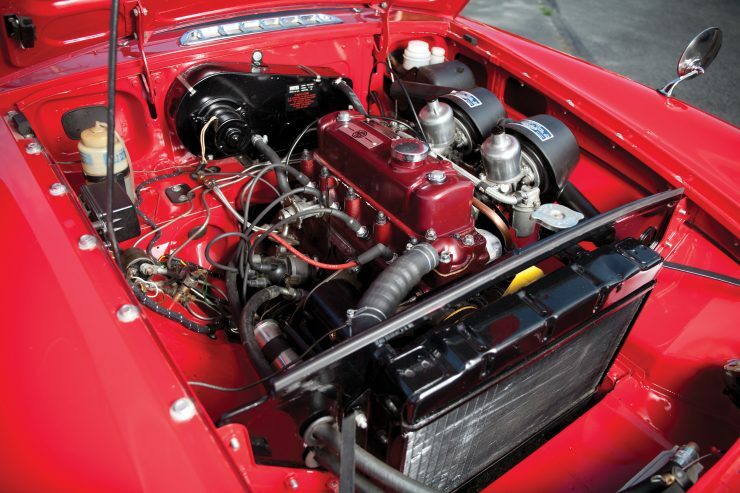 The engine chosen for the MGB was the same BMC B Series in-line four cylinder OHV as used on the MGA but bored out to increase its capacity to 1,798cc. 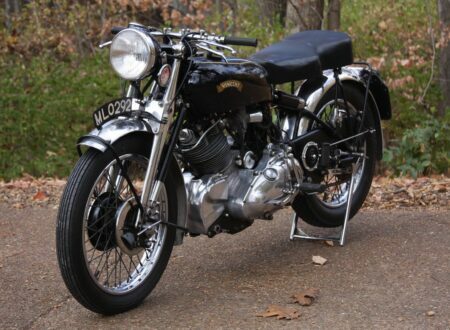 In its new form this three bearing engine produced 95bhp @ 5,400rpm. The gearbox was a standard four speed with synchromesh on the top three gears in typical sixties British style. 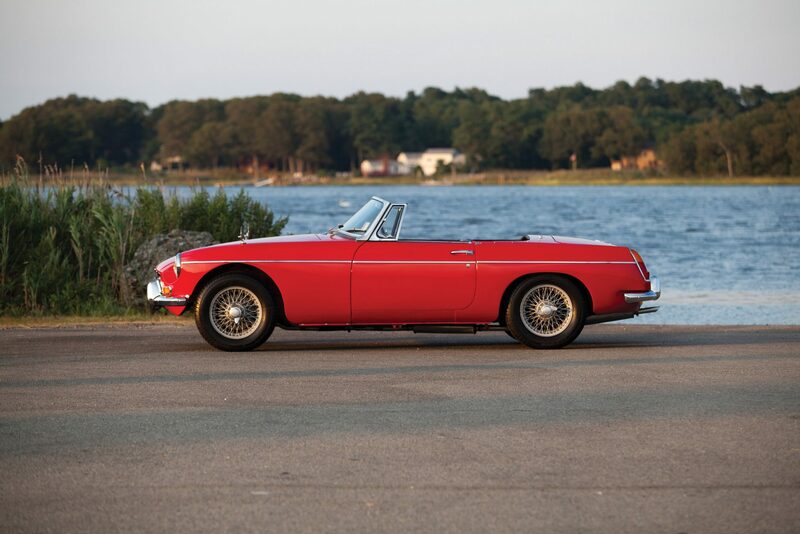 The car made its debut in 1962 and by the time production ended in 1980 it had outsold its predecessor five fold with over a half million MGB’s being produced. Note: In distinguishing cars into a four “series” we are not following factory recognised divisions. We are simply breaking up the changes to the MGB into their commonly accepted developmental stages. The only factory recognised stage is the Mark II of 1967-1969. 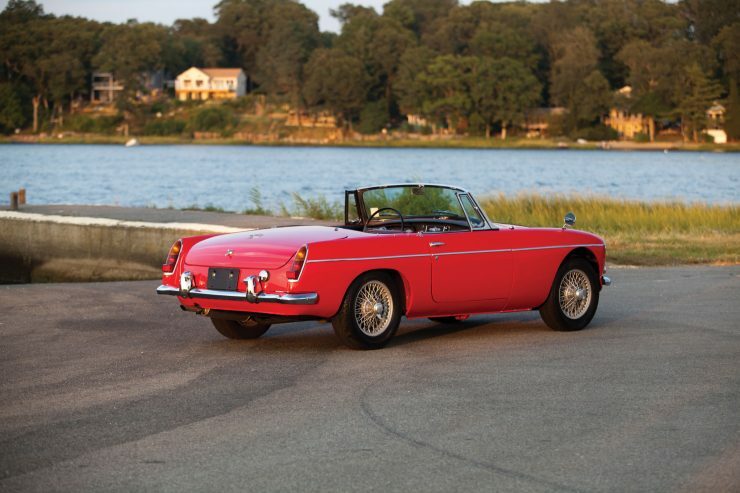 The first series MGB Roadster featured the three bearing crankshaft BMC B series engine of the MGA but with increased capacity from 1,622cc to 1,798cc. These first series cars have the “banjo” rear axle and the four speed gearbox lacks synchromesh on first gear. The early gearbox can tend towards synchromesh wear on second gear as is the case with most BMC cars of the same era. 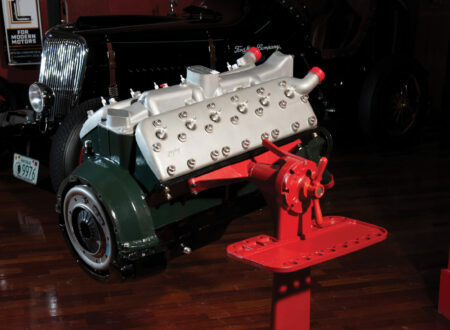 In 1964 the engine was upgraded to a five bearing crankshaft. These cars were quite luxurious by British sports car standards and came with wind up windows and a lockable glove box. 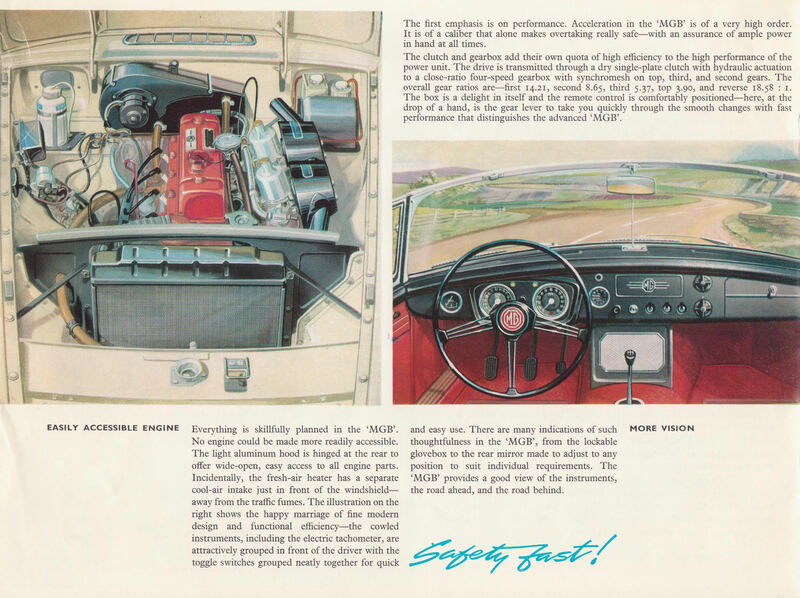 Not only was the MGB lighter, more luxurious, and faster, but it was also the first MG to be designed with controlled crumple zones to protect the driver and passenger in impacts up to 30mph against an immovable 200 ton object. Engine: Iron block and head, OHV push-rod in-line four cylinder of 1,798cc capacity producing 95bhp @ 5,400rpm and torque of 105lb/ft @ 2,400rpm. This engine breathed through twin 1.5”/38mm SU carburettors. Engine upgraded with positive crankcase ventilation in February 1964 and further upgraded from three main bearings to five in October 1964. Gearbox: Four speed manual gearbox with synchromesh on top three gears and a straight cut non-synchromesh first gear. Laycock Type D overdrive available as an option up until 1967 when it was replaced with an optional Laycock Type LH overdrive from 1968-1974 and some 1975 cars. The overdrive operated in third and fourth gears. Rear Axle: “Banjo” type rear axle as originall used on the MGA. Brakes: Front; 10.7”disc brakes. Rear; 10” drum brakes. Servo assisted brakes optional. Suspension and Steering: Front; independent with unequal wishbones and coil springs, anti-roll bar. Lever type shock absorber forms part of the upper wishbone. Rear; live axle with semi-elliptic leaf springs and lever type shock absorbers. Steering by rack and pinion, 2.9 turns lock to lock. Body: Monocoque steel body with outer and inner sills with substantial centre tunnel. Earliest cars have aluminium bonnet/hood and boot lid. 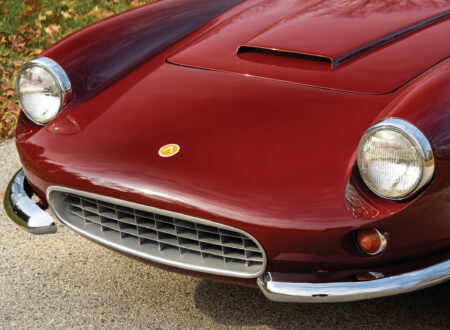 The Mark II cars appeared in 1967 fitted with the original four speed gearbox and rear axle. The electrical system was changed from traditional British positive earth to more conventional negative earth and the generator was upgraded to an alternator. The twin 6 volt batteries of the earlier cars that were wired in series to deliver 12 volts were replaced with a single 12 volt battery. These cars also featured reversing lights on the rear valence panel. In 1968 export cars for the US market had to begin meeting emissions standards requiring the use of “smog pumps”. For 1968 the MGB Roadster was fitted with a full synchromesh gearbox based on the gearbox used in the 3 litre MGC and also on the later V8. This gearbox is very rugged and over engineered for the four cylinder engine. Also in 1968 the “banjo” rear axle inherited from the MGA was upgraded to the tube type Salisbury axle used on the six cylinder MGC. Thus the entire transmission of these cars is significantly stronger than that of the early cars. 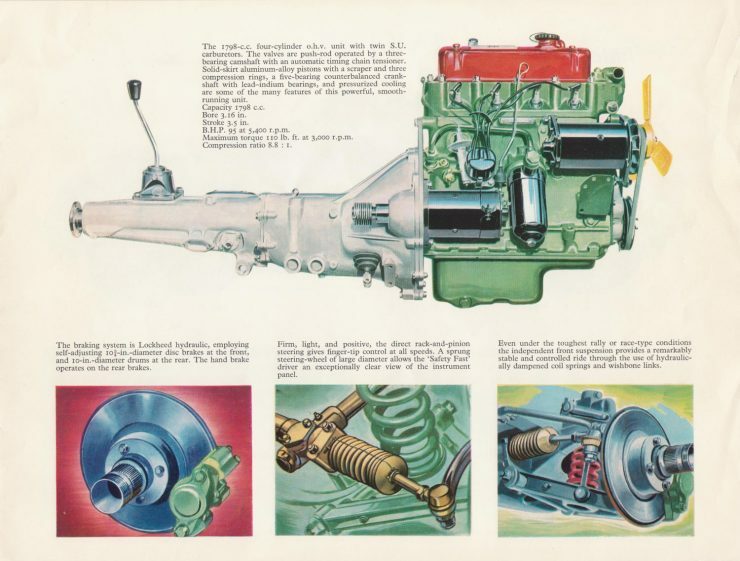 For 1968 an automatic transmission was offered as an option although not for the US market. In 1968 the brake hydraulic system was upgraded to dual circuit. 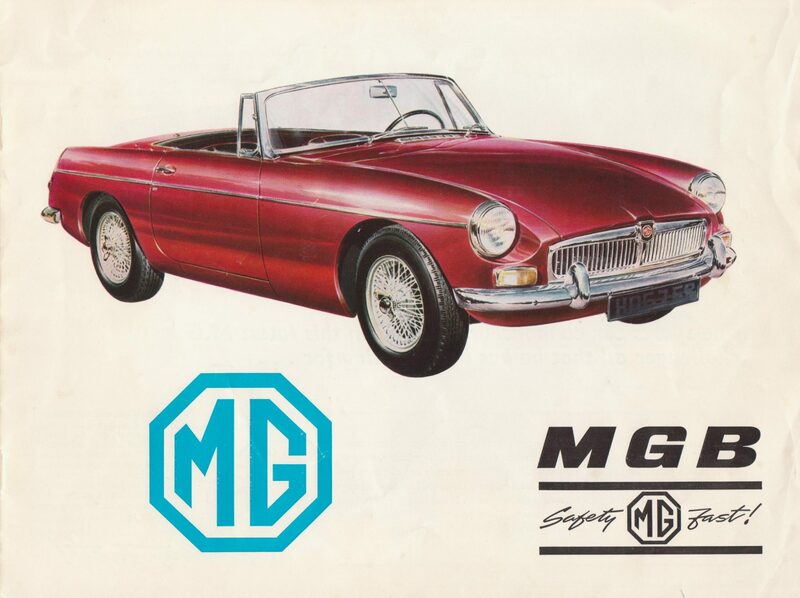 The third series MGB Roadster has British Leyland badges as BMC were subsumed into a new larger company called British Leyland. 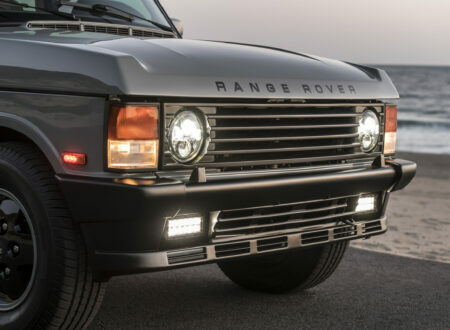 These third series cars have rubber faced bumper over-riders which were nicknamed “Sabrinas” after a buxom British actress, and had a recessed grille which was later “facelifted” to a black plastic mesh grill. Radial tyres became standard in 1972. 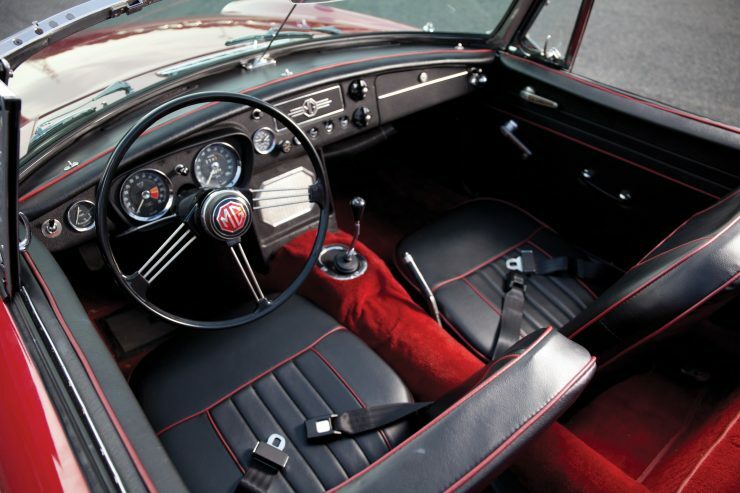 Other new safety features for 1969 were high back seats fitted with head restraints to protect against whiplash spinal injury in the event of a rear end collision. The windscreen wipers were increased from two to three to maximise swept area. 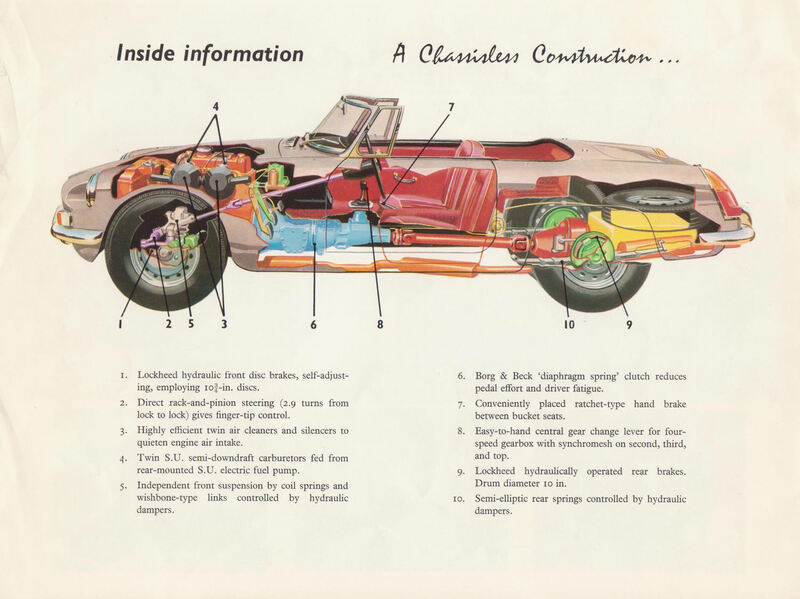 Because of new US standards that required automobiles to be able to withstand a 5 mph impact without damage the MGB Roadster had to be fitted with “rubber bumpers” which were in fact made of polyurethane over a steel core. Also in 1974 the ride height of the MGB was raised by 1” to meet US headlight height requirements. 1974 was also the year servo assisted brakes were fitted as standard. The front anti-roll bar was omitted as a cost cutting measure in 1975 and predictably that did nothing for the MGB’s handling. 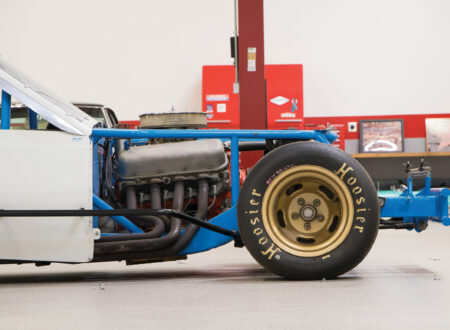 The front anti-roll bar was restored in 1976. The following year a rear anti-roll bar was added as standard equipment and at the same time the whole suspension geometry was revised. Also in 1975 a collapsible steering column was fitted and the steering ratio altered from 2.9 turns to 3.5 turns. The engine of US cars were fitted with a single Stromberg carburettor in place of the twin SU’s to meet emissions regulations in 1975. The power of the engine was thus reduced to 85bhp with 100lb/ft torque. California specification cars were even less powerful with only 70bhp by the late seventies. 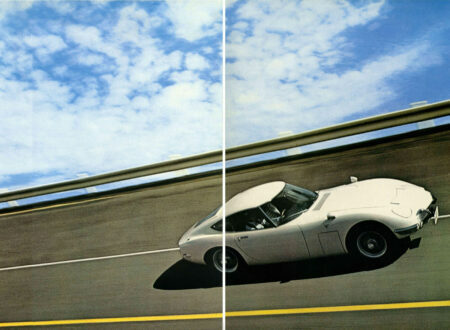 From 1977 onwards the optional overdrive would only operate in fourth gear. This unit can be distinguished by its switch which is located at the top of the gearshift knob (previous overdrive switches were dashboard mounted). In 1979 a limited series was created for the US market. Painted black the original limited edition was supposedly to be for 500 cars only but buyer demand saw that escalate to 6,682 units so the production was not quite as limited as intended. 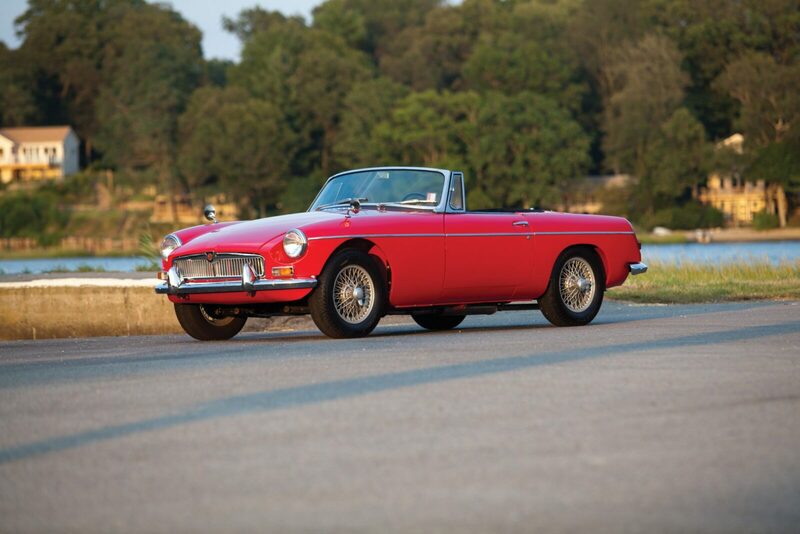 In Britain the model was painted bronze and 421 limited edition MGB Roadster were made. The body of a potential purchase car is always the mission critical item to examine. 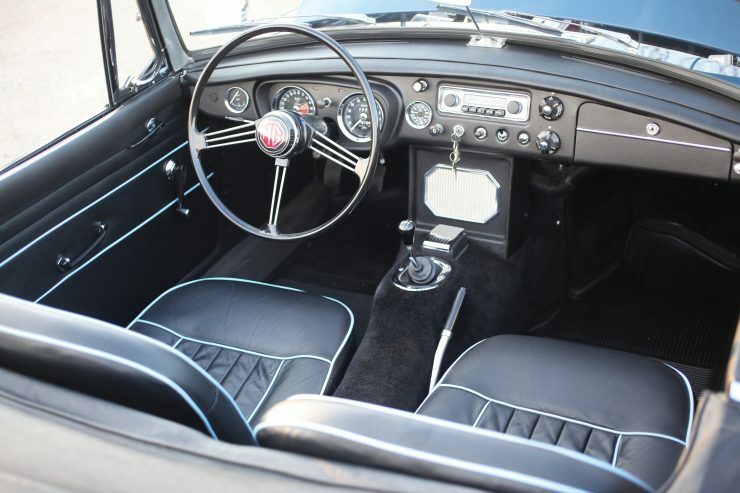 The MGB was a sports car and sports cars encourage drivers to drive them in a sporting fashion. So, at risk of stating the obvious, the potential for accident damage is very real as is the expectation that the car may have corrosion in critical structural areas. – One of the two main structural areas of the MGB Roadster monocoque body are the sills. The sills sit between the rear of the front wheel arch and the front of the rear wheel arch. The sills have a central membrane, with an inner box section inside that. Expert examination is recommended as rust in structural areas can easily be hidden simply because it is inside the structure or it may have been repaired in the past and the quality of that repair may or may not be satisfactory. If complete replacement of the sills is needed the parts are available but it is a job for someone who is expert in this. It is not a job for a someone with no prior experience. – In the interior of the car lift up the carpets or mats and check for corrosion. Also look around the cockpit including at the rear. Lift up the battery covers and check for corrosion in the battery bays – batteries tend to cause corrosion which needs regular maintenance. – Rear wings; check inside for filler repairs and/or corrosion. – Around and under the doors. Feel under the doors for corrosion and to ensure drain holes are open and free from rust. – Check the opening and closing of the doors and check door gaps. – Around the headlights check for rust and accident repair. – Bonnet/hood and boot/trunk on early cars were made of aluminium alloy so were more susceptible to damage. Aluminium alloy panels such as this require annealing if panelbeating is required. – Boot/trunk floor: check for rust and also check for fuel smell or sign of leaking from the fuel tank. – The interior trim is not too critical and can be re-upholstered. Ensure the wiring looks OK and that all instrumentation is working OK. The suspension is conventional and well engineered. 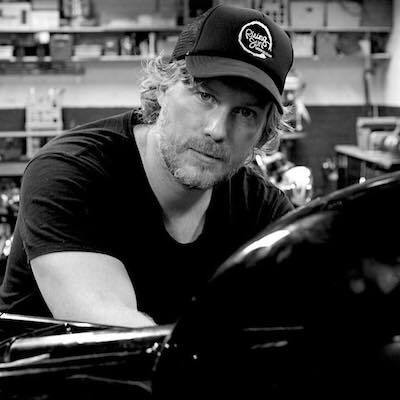 – Check for wear of king pins and bushings etc. – Check for leaking lever type shock absorbers. – Check for wear in the bushes and springs. – Check brakes for operation and wear. Look for brake fluid leaks etc. The suspension can be upgraded easily by the home DIY mechanic. Replacement of the suspension bushings with high quality new ones is recommended. There are also suspension upgrade kits which include kits to convert from lever to telescopic shock absorbers. Steering should have less than one inch play in the universal joint. Check the rubber gaiters are in good condition. – Check for oil leaks including in the engine coolant (milky deposits floating around in the radiator). – Check oil pressure is over 50psi at 50mph – 80km/hr. – Check for blue smoke in the exhaust etc. Do a cylinder leakage test. – Expect some tappet noise at the top of the engine. The tappets are easy to adjust but are not silent in operation. 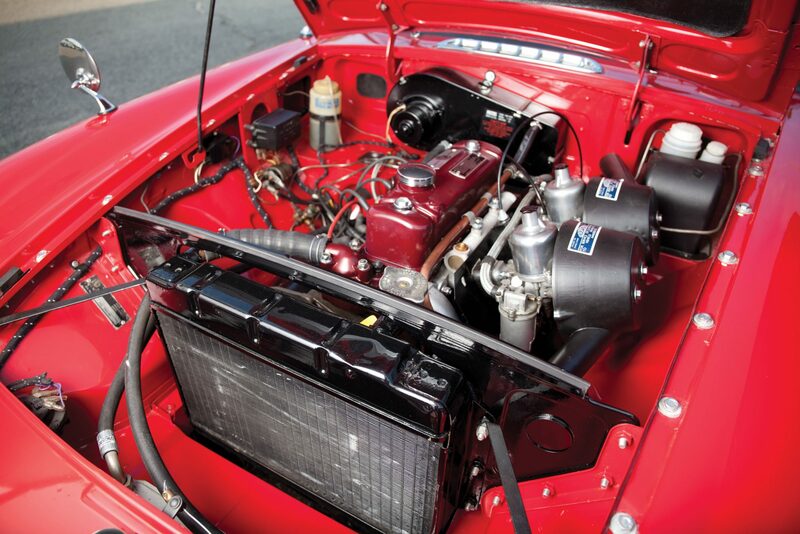 – The MGB engine does not normally overheat. – The older model four speed gearbox with no synchromesh on first gear may show signs of wear on second gear. Make sure it stays in second gear on the overrun. The gearbox can be affordably overhauled. – Check clutch operation is smooth and that it engages fully. – Check prop shaft joints for slack and when driving the car listen for clonks from the transmission which indicate wear and the need for an overhaul. 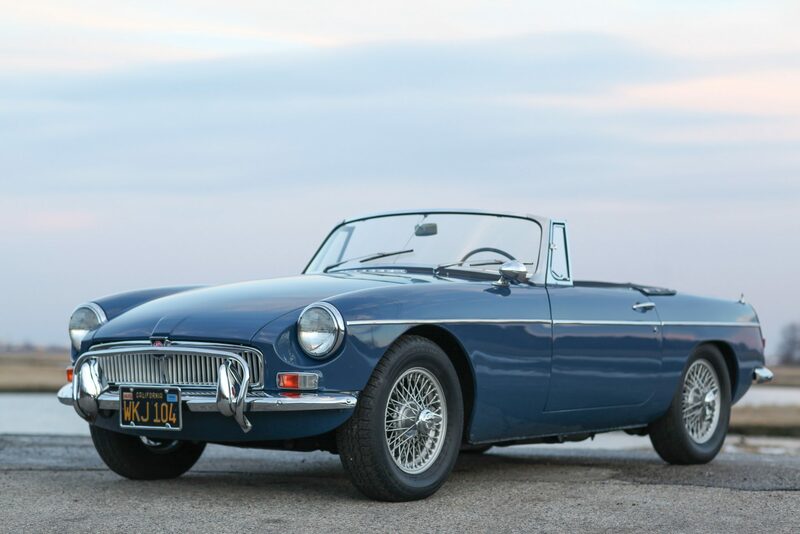 An MGB Roadster is a car that you buy not because you are looking for the fastest car on the road, nor because you are looking for the most impressive or most comfortable. 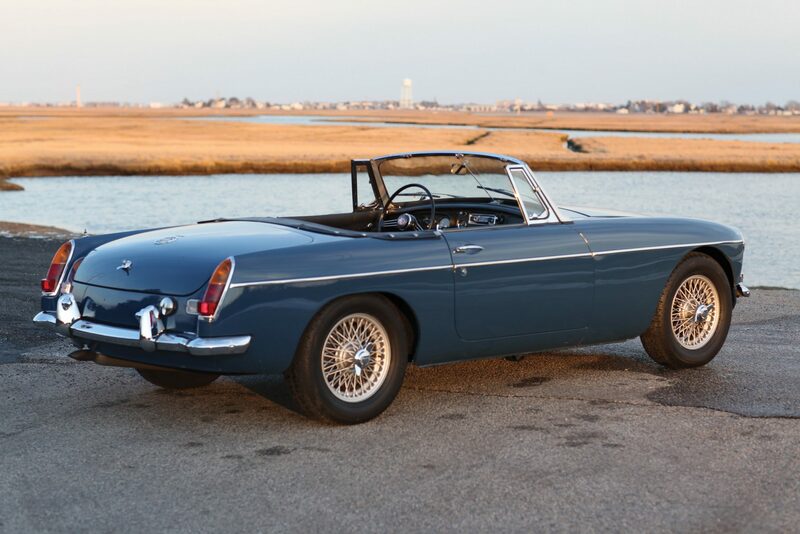 If you are looking to buy an MGB you are looking for a car that will become an enjoyable hobby and also something that will likely get you joining an MG club with all the social and practical benefits that comes with it. These cars were made for owners who would work on them themselves so they were intentionally designed to be tweaked and tinkered with. They are also huge fun on the road, even the ones with no synchromesh on first gear. You can learn to double de-clutch and you will soon master a nifty and silent change into first on the move; on tight mountain hairpins its a skill you will need. Just remember that back in the twenties gearboxes were mostly non-synchromesh “crash” gearboxes as they were on trucks right up into the sixties. An MGB is one of the most fun classic driving experiences you can have – they feel great on the road and they sound wonderful.